It’s a new century for Nikon imaging, and I’m super honored to be a part of it. The 101-year-old company has announced what I consider to be one of the most remarkable imaging devices on the planet, the Nikon Z7. Along with its companion, the Nikon Z6, these cameras mark Nikon’s debut in the world of full-frame mirrorless cameras. The concept of this film was born out of the idea that so many of us really try to make our mornings count. Whether we’re writers or artists using those early hours to tap into our creativity, or we’re parents or spouses who are trying to make the first moments of our day really count, mornings are a sacred time of day. Many of us use those first hours of the day to go for a ski tour, bouldering, hit the gym, do yoga, or meditate. For me, when I’m lucky and not on a deadline, I like to take my mountain bike out for a ride on the trails surrounding Lake Tahoe. 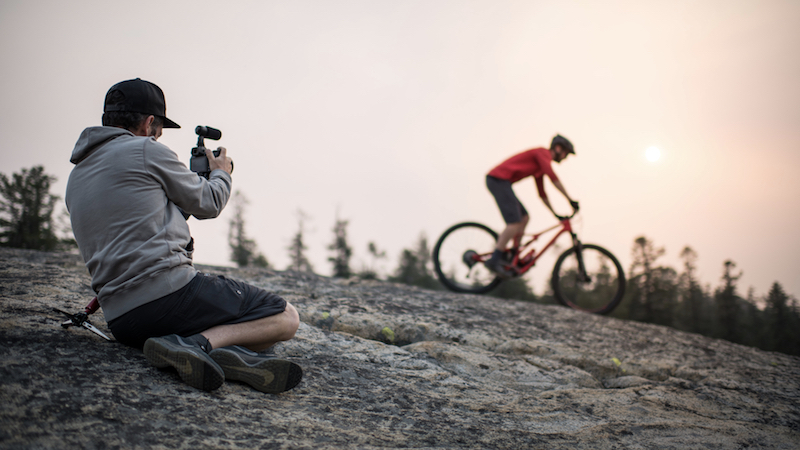 I thought that shooting a mountain-biking film in my backyard would be the ideal scenario. And it was fitting because during the short window of time I was given to create this film, mornings ended up being the only time of day I actually had to shoot! 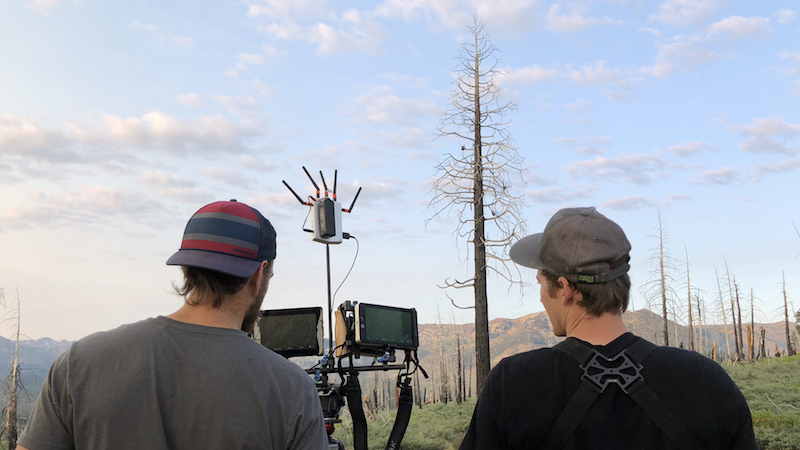 We worked with Kyle Smaine, an incredibly local athlete who is a world-class freeskier who can also ride a mountain bike like no one else. 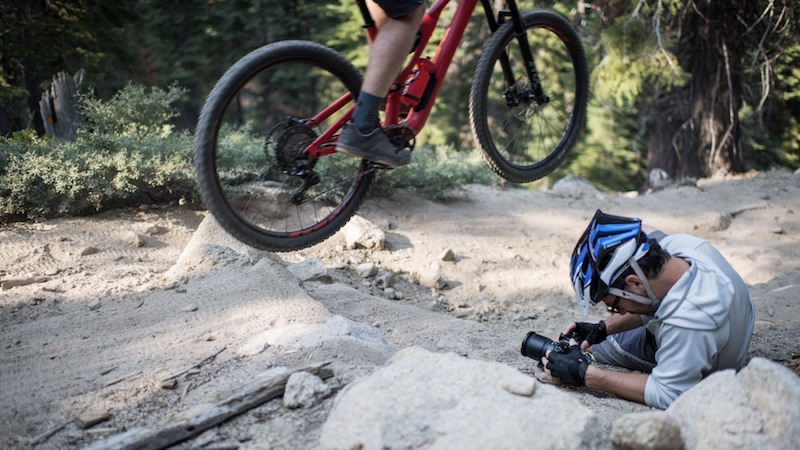 We shot Kyle tearing across a handful of my favorite trails and sections of granite in the Lake Tahoe basin. This 45.7-megapixel full-frame camera is revolutionary. For me, there’s no going back to a DSLR for shooting video. The specs on this camera speak for themselves, and you can look up all the technical details behind its 493 focus points and 64-25600 ISO. But I wanted to give you a testimonial to the tactile experience of actually working with the Z7. The electronic viewfinder is remarkable: it’s incredibly bright and crisp in any light condition. 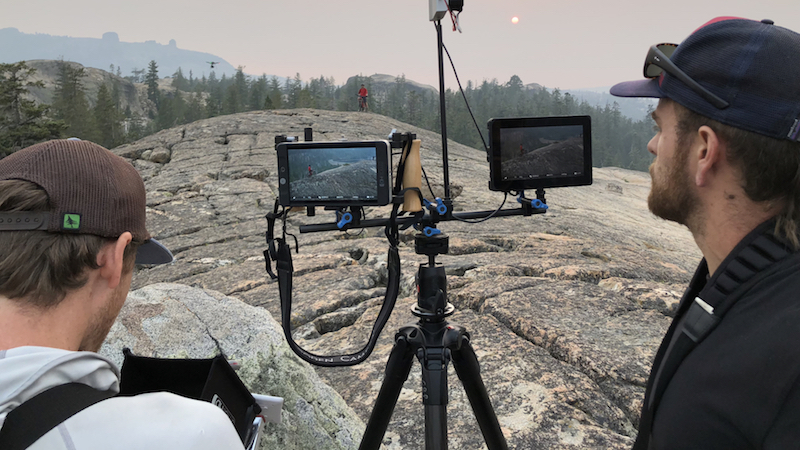 I love the ability to press record, shoot a clip, press playback, review it, and make adjustments to my exposures settings—all without removing my eye from the electric viewfinder. I was also blown away by the autofocus system. 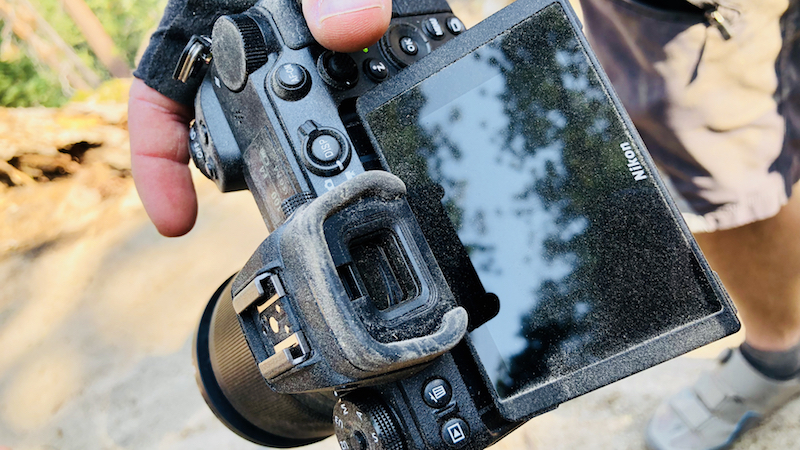 I didn’t believe you could use autofocus in video until I saw how the camera tracked Kyle ripping down a rock garden. He stayed razor sharp from the moment he entered the frame until he exited the frame. The overall image quality, and performance in low-light environments, was insane. A new mount and flange distance—which is the distance between the rear optic and sensor—has resulted in even more extraordinary image quality than you’d expect. To shoot “Morning,” I used the new series of Nikkor S Lenses: the 35mm f/1.8, the 50mm f/1.8, and the 24-70mm f/4 zoom. All had edge-to-edge sharpness and clarity, resulting in a brilliantly sharp image. What’s great about this camera and that I couldn’t be more excited about is that the vast majority of Nikkor lenses (over 300 lenses) will work, unaffected, with the new FTZ mount adaptor. I have over 90 Nikkor lenses that will be compatible with this new camera. As a mirrorless full-frame camera, the Z7 is the perfect size. It’s small, lighter, faster—and yet, it still feels like a Nikon in my hands. 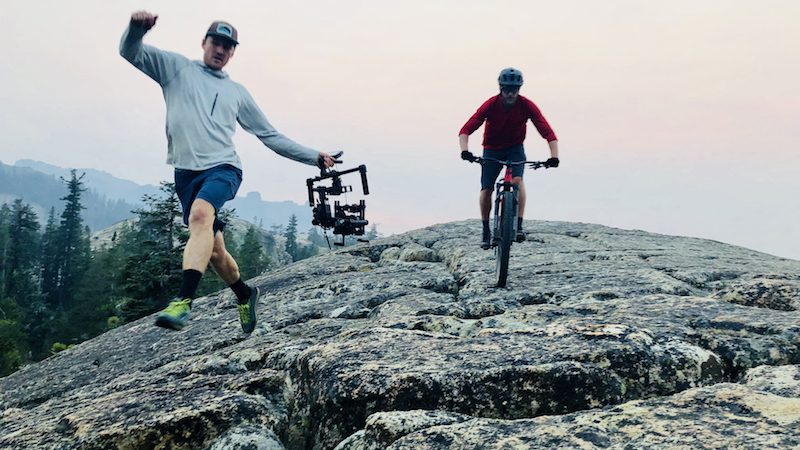 We strapped the Z7 onto a FreeFLY drone to get many sweeping aerial shots of Kyle biking, and got more flight time due to the camera’s lighter weight. More flight time means more passes, so we could refine our visuals and push our creativity. Just the tactile experience of holding the Z7 was one of heightened creativity and less time and energy spent moving hardware. This isn’t just a new camera with a new mount that’s mirrorless and shoots silent. It’s a new and better tool in an ecosystem that I’m already using and love. The idea that I can continue to use all my favorite Nikkor lenses, but shoot higher-quality video with my eye pressed to the electronic viewfinder, take advantage of the autofocus capabilities, and produce higher-quality images all in a smaller form factor means that I might just be one of the most excited guys around after today’s big announcement. Thank you, first and foremost, to Nikon for the opportunity to represent your company as an Ambassador and to be given the opportunity to flex my creativity using the best tools on the planet. I couldn’t have created Morning without, first and foremost, the help of my Novus staff, especially Bligh Gillies as well as AJ Marino, our intern. Thank you guys for the support. Also, thanks to Sean Haverstock for your incredible drone work. Thank you Sean Milburn for the great audio. Thank you Chris Stamey for the edit, and thanks to Andy Mead for the audio design. There’s a lot of great work being created by other Nikon Ambassadors using the new Z cameras, which I’ll be calling out over the next few days. Stay tuned, and welcome to the next century of visual storytelling. Cool to read your impressions of the new Nikon mirrorless Corey! See you soon in Jackson. Dear Corey, great film. Thank you. Shooting with Nikon as a NPS Photographer since 25 Years. 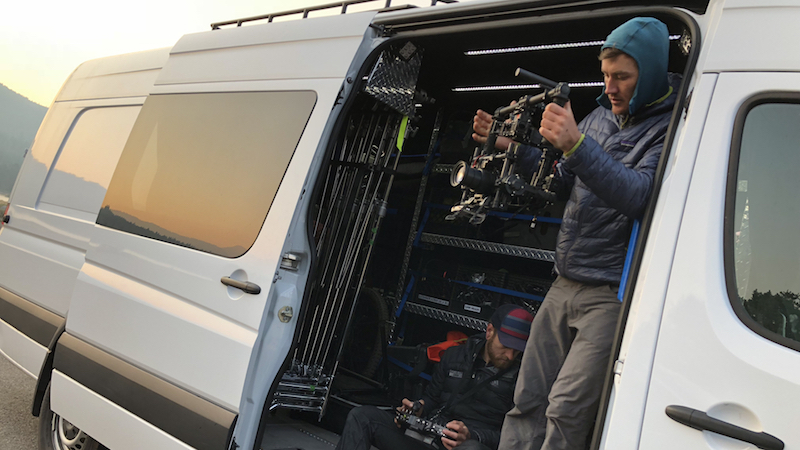 Here in Austria, I regularely shoot MTB Content for clients with a small but effective one or two Man Production Team, and on the Locations we don’t use Jeeps for these Productions, just our Bikes for Transport ). 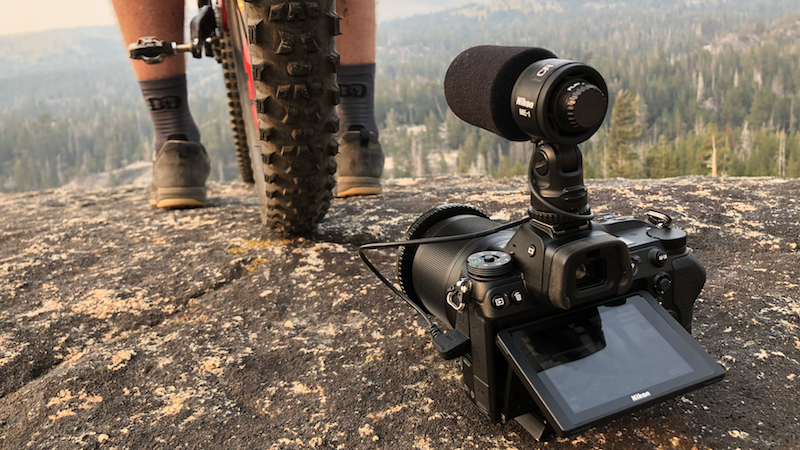 As we used a A7III for the 4K MTB Shots so far and it’s AF is insanely fast with the G-Lenses on MTB Downhill Trail Shots, the big Question for me is now: will the Z7 be as fast focus tracking high speed MTB riders as the A7III with G-Lenes, and if the Z7 could AF so fast as well with my classic AF-S 24-70/2.8 and AF-S 70-200/2.8 (non VR) and the Nikon Z7 Adapter as well. That would be awesome. Interesting times. Thanks for your feedback. Great Job Corey! I am looking forward using this camera! What a great film! now I need to buy a new camera body. 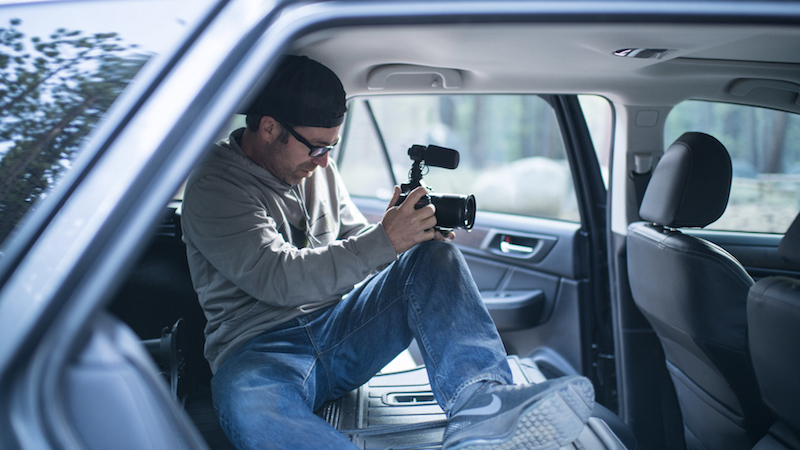 Awesome video Corey, amazing storytelling, I see why Nikon has entrusted you so many times with creating these moving short stories as they bring out new products.